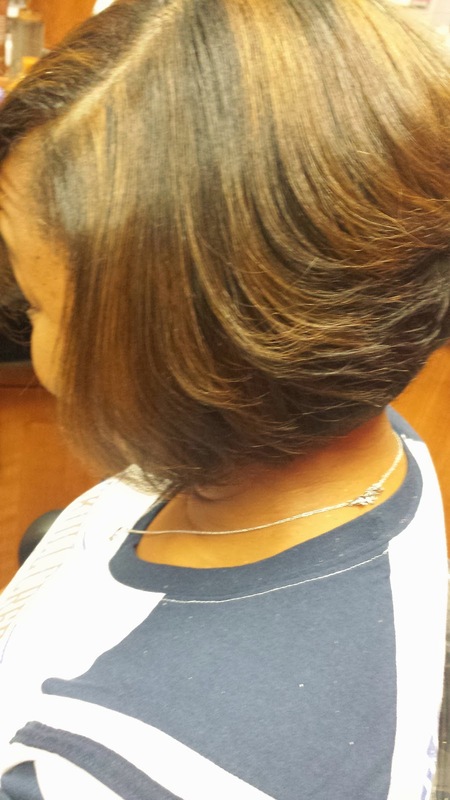 This relaxer free client was ready for a makeover. 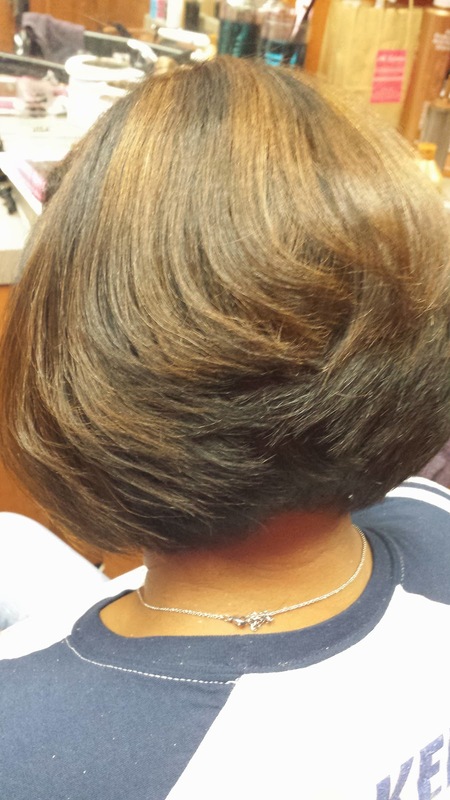 She wanted something different so she decided to cut her hair into a short bob and add a few permanent highlights. I started by adding the highlights first, then shampooing and conditioning really well with Silk Hydration by L. Jones products. I used the clarifying shampoo to make sure all traces of residue were off of the hair and start me off with a clean slate. Next I conditioned the hair well with Silk Hydration by L. Jones Daily conditioner. After I rinsed the conditioner, I then applied the leave-in conditioner and combed through. 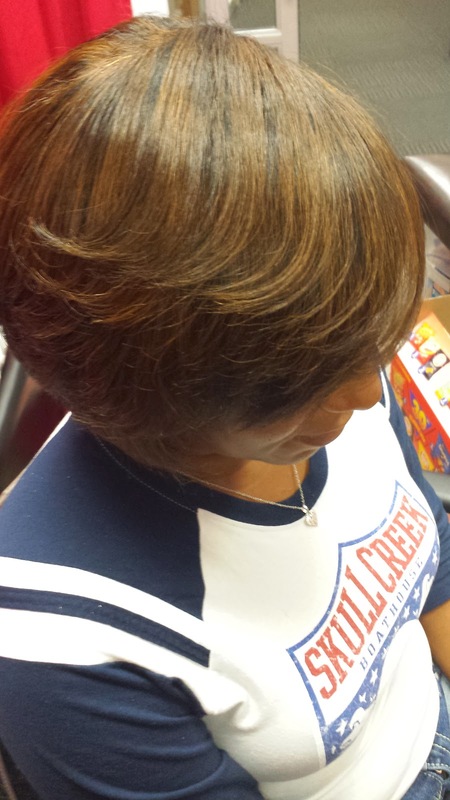 After that I combed the hair straight down and placed the client under a hooded dryer until the hair was dry. 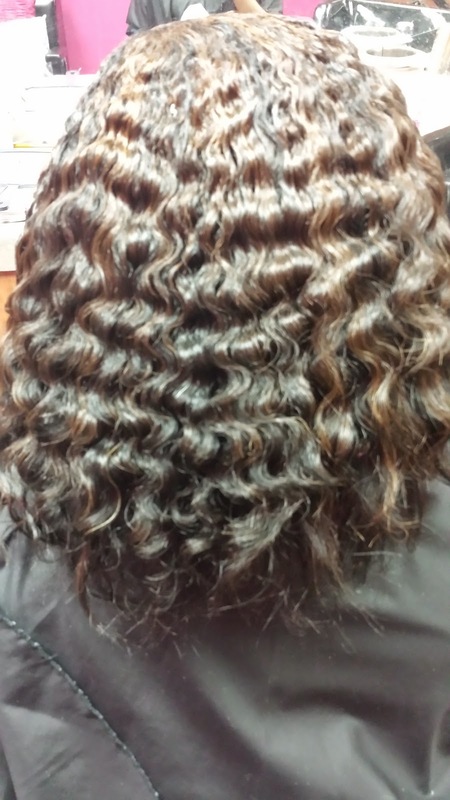 Although she is relaxer free, she has the type of hair texture where she can sit under the dryer and it will turn into these pretty waves that you see here (lucky girl!). Next step was blowing the hair out and cutting. 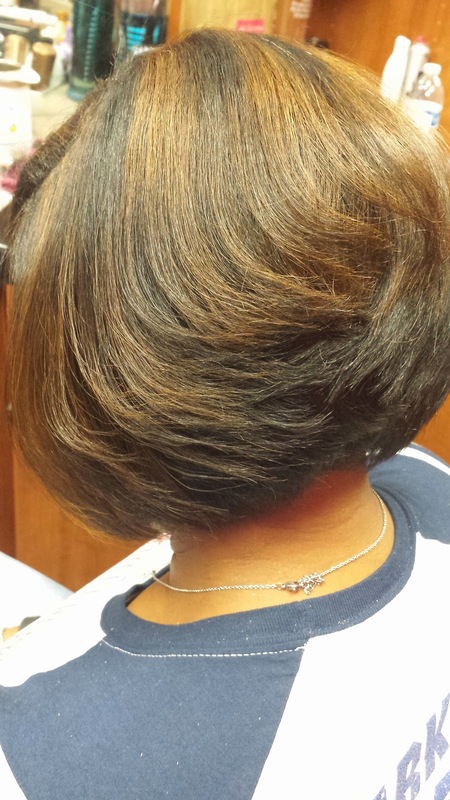 Ya'll know I love me a bob so I happy to cut it for her. 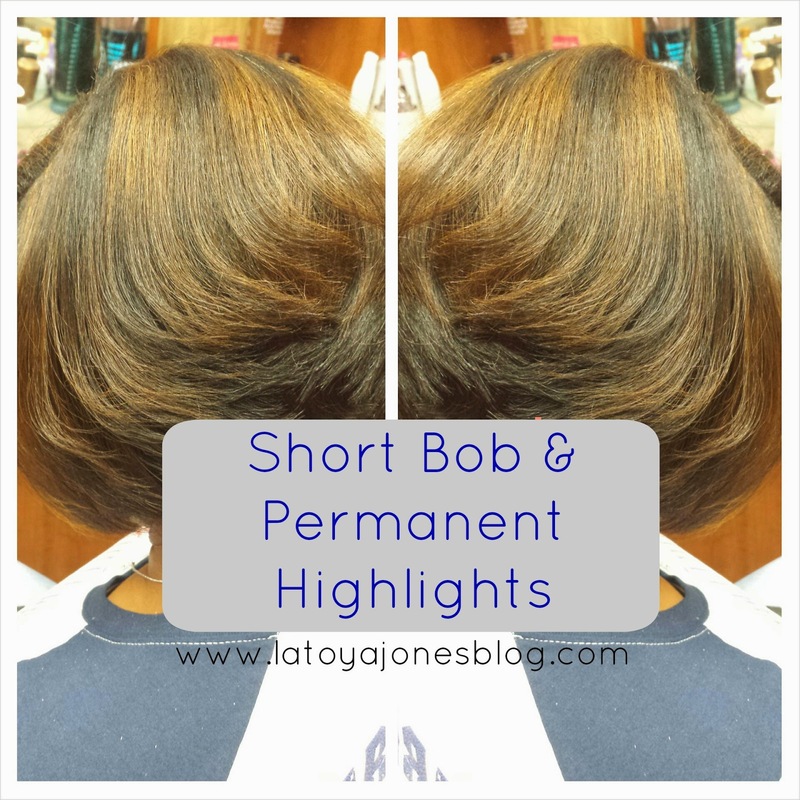 She said to go pretty short in the back so I went as short as I could taken into consideration that she does not have a relaxer. Therefore, when her hair curls back up it will look a lot shorter than it looks straight so if she ever wants to just wear it curly it will still have the shape of a short bob. 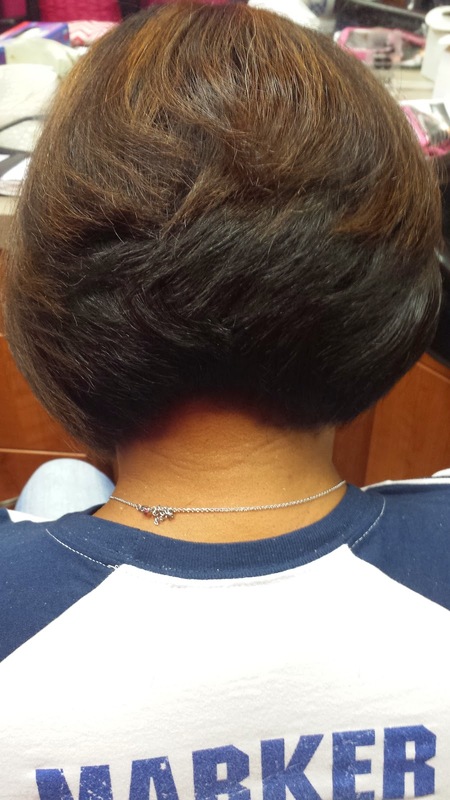 After cutting I put flat ironed the hair into the cut. 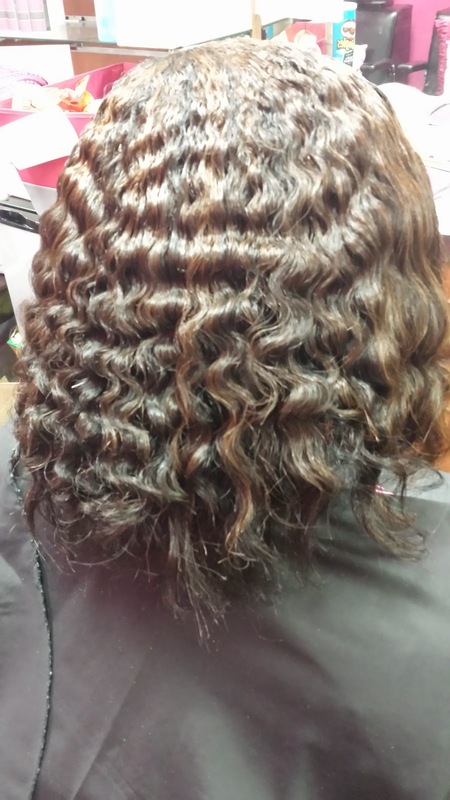 I put layers in also so that when the hair is flat ironed, it will fall into the shape it was cut in. Doing this cut so made me want to cut me hair again!!! I will refrain for now though, maybe until next summer. To take care of this she can simply wrap it with her silk scarf and sleep as wild as she needs to! Her hair will stay straight until she wets it again, or approximately one week. 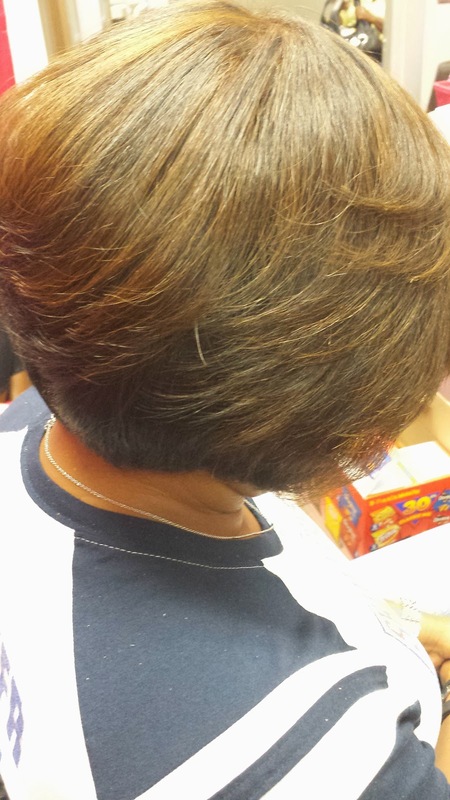 She loved her cut and her color and feels like a new woman, which means my job is done. It is so fulfilling to watch the confidence instantly take over whenever someone is loving their hair. That is what makes me love my career and so grateful that God continues to bless my hands.